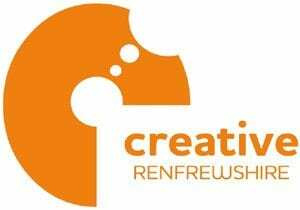 As a result the organisation now known as the Creative Renfrewshire Network (CRN) was formed. The objectives of CRN are to facilitate communication between groups and individuals in the cultural sector, facilitate the development, promotion and delivery of events etc, to promote participation in existing cultural activities etc, and to provide a direct link for, and representation of, the Renfrewshire creative sector. 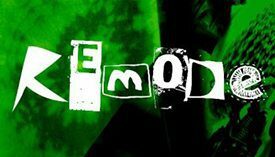 We would like to invite you to the first membership meeting of the Creative Renfrewshire Network at 6.00pm on Wednesday 29th February in Paisley Town Hall. This will be an opportunity for representatives to discuss the development of the CRN, be introduced to the new CRN web site, and to join the CRN. There will even be some fabulous entertainment from some local organisations just to make the evening even more enjoyable! The Creative Renfrewshire Network is for all cultural organisations and individuals in Renfrewshire and will be the first steps to enhancing and developing a cohesive cultural strategy with more partnerships better cooperation, and easier communication. We do hope you will be able to attend and learn more about the network and contribute to its development however, if unable to, information resulting from the meeting and the opportunity to sign up to the CRN will be distributed after the 29th. I would also be grateful if you could pass this information on to any other individual or organisation that you know of who may also have an interest in attending this meeting. We very much look forward to seeing you at the first meeting of the Creative Renfrewshire Network.